Risking it All: What Are You Afraid Of? 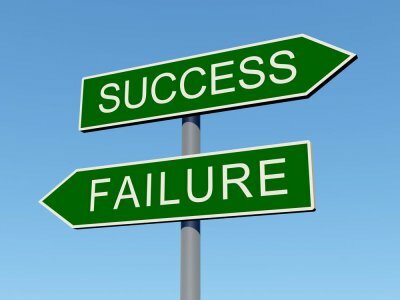 Most of us don’t live that way – failure as discovery. We have specific intentions for each experience and decision we face. When something doesn’t live up to our expectation, we throw it out. It begs the question, what are we afraid of? Why don’t we just go with it? Learn from whatever comes our way. Ultimately, it’s a control issue. In the case of Thomas Edison, he expected failure and disappointment, but it didn’t own him. When he failed, he used it as motivation. Failure wasn’t the effect of poor planning. It was a cause to keep trying. When it comes to risking it all, what are you afraid of? What is it that is keeping you from doing something big or risking everything? Is it the comfort of your current situation? Is it the idea that you have “everything under control?” Are you afraid to fail? There is a desire in each of us to make a difference in the world; to do something or be a part of something bigger than ourselves. Take time to think about your dream, your desire; the thing that is bigger than you. There is a process to making that dream come true that will require risk and sacrifice. Don’t be scared of the risk, but realize the cost of seeing your dream or desire become a reality. It will cost you something, but it’s worth it. In those moments when failure is inevitable, use it as a learning experience. Don’t waste an opportunity to see things from a different perspective. It might just be the 10,001st experiment that gets it right. And think like Thomas Edison – you haven’t failed, you just discovered 10,000 ways that won’t work. 16 Mar	This entry was published on March 16, 2011 at 9:38 pm and is filed under experiences, failure, learning, maximizing, resolve, vision. Bookmark the permalink. Follow any comments here with the RSS feed for this post. Newer: Risking It All: Lose Your Soul?